The European Union’s new Generalized System of Preferences (GSP) scheme, or GSP+, which has taken effect at the beginning of this month, will allow developing countries like the Philippines to benefit from expanded trade privileges with the 28-country bloc. It provides the world’s poorest countries “with preferential access to the EU’s market of 500 million consumers,” the EU added. The new scheme, it explained, will focus on fewer beneficiaries—down to only 90 countries which will include the Philippines, from the previous 177 countries—to ensure more impact on countries most in need. At the same time, more support will be provided to countries that are serious about enforcing international human rights, labor rights and environment and good governance conventions, the EU further said. One of the changes effected under the GSP+ scheme is the longer effectivity period, as the new scheme will be in force for 10 years, thus improving certainty for business operators. The previous GSP scheme was reviewed every three years. The Philippines, for its part, has submitted in December last year its application to be part of the EU GSP+, which is expected to significantly benefit Philippine exporters. The application will be subjected to review and assessment within a period of 10 months. The DTI as the lead agency for this initiative has concluded more than a year of preparatory work involving interagency consultations and industry briefings on the requirements and benefits of the scheme. The application is supported by industry groups and associations who would like to take advantage of the GSP+ preferences, particularly the textile and garments and the tuna sectors. Initial estimates showed that the GSP+ could increase Philippine exports to the EU by 611 million euros, or almost P36 billion. Last year, Philippine exports to the EU under the existing GSP reached 1.076 billion euros (about P63 billion). Product sectors with the highest projected increases are animal or vegetable fats and oils (231.2 million euros); prepared foodstuffs (151.2 million euros); textiles and garments (79.7 mullion euros); footwear, headwear, umbrellas (28.5 million euros); and chemical products (17.1 million euros). The projected increase in exports are also expected to translate to 267,587 additional jobs both in the agriculture and manufacturing sector. 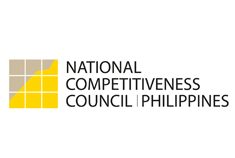 The application to the EU GSP+ scheme is in accordance with the Philippines’ Europe strategy to secure market access preferences, initially through the GSP+ while informal technical discussions are ongoing for a possible free trade agreements with the European Union and the European Free Trade Association (EFTA).